Of course, we will be presenting all our innovations and trends for 2019 at DOMOTEX in Hannover, Germany. 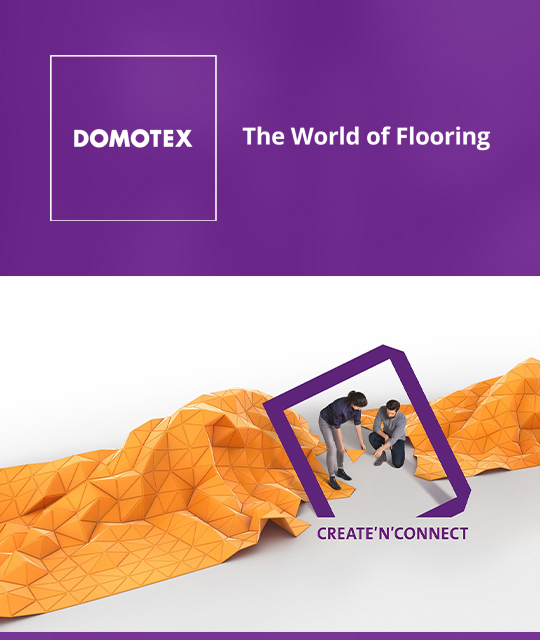 DOMOTEX is the largest and most important trade fair for the flooring industry and an absolute must in your agenda. This 4-day fair attracts more than 38,000 visitors from over 60 countries and you are guaranteed to find inspiration on the 90,000 m2 exhibition area. You will find us at Stand E.64 in Hall 13 from Friday the 11th. until the 14th. of January 2019. Interested? Then you can use our contact form to request free tickets.